Enjoy a glass sculpture experience at the Kitaichi Glass Hanazono branch Store! 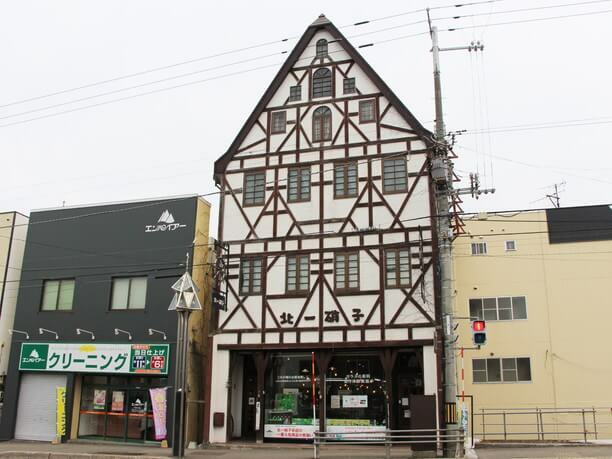 The Kitaichi Glass Hanazono branch Store is one of the indispensable sightseeing spots in the popular town of Otaru, Hokkaido. 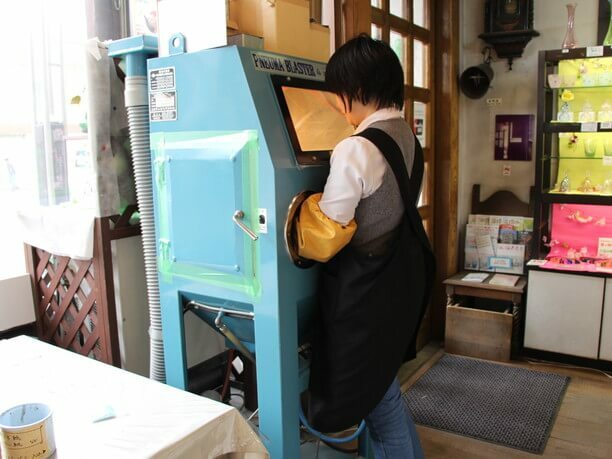 Kitaichi Glass is famous for glass crafts. 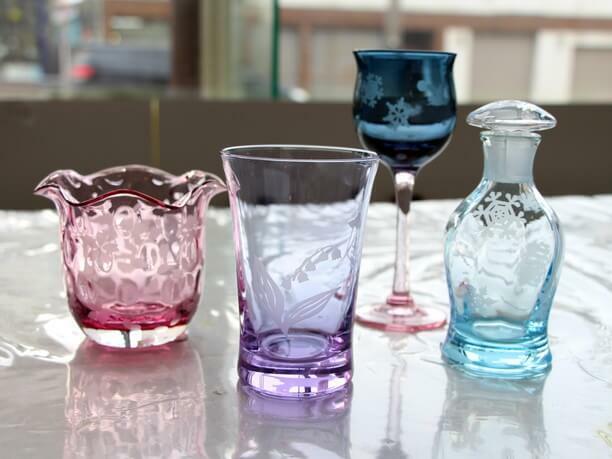 It was Established as “Asahara Glass” in 1901 (Meiji 43). They started by producing oil lamps, and floating balls for fishing gear. Now they manufacture and sell a wide range of products such as glasses and tableware. It has more than 10 stores in the city. They occupy the 3rd building in the warehouse district that has become a major tourism area. It was built in the middle of the Meiji Period and is famous for its café “Kitaichi Hall” where the entire place is lit with kerosene lamps. Among many stores, the Kitaichi Glass Hanazono branch Store is one place you can experience making your own glass products! Using the products sold at the shop for inspiration, you can draw the pattern you want to create and make yourself a unique souvenir! Experience using the products of Kitaichi Glass! 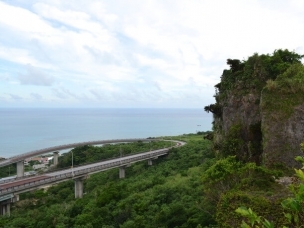 From the JR Otaru Station take the national highway No. 5 straight to the Sapporo area and walk for about 7 minutes until you see a building with a narrow triangular roof. This is the Kitaichi Glass Hanazono branch Store. Originally it was opened as their head office in 1978. It occupies a wooden building with a German-style retro atmosphere including beams and painted walls. 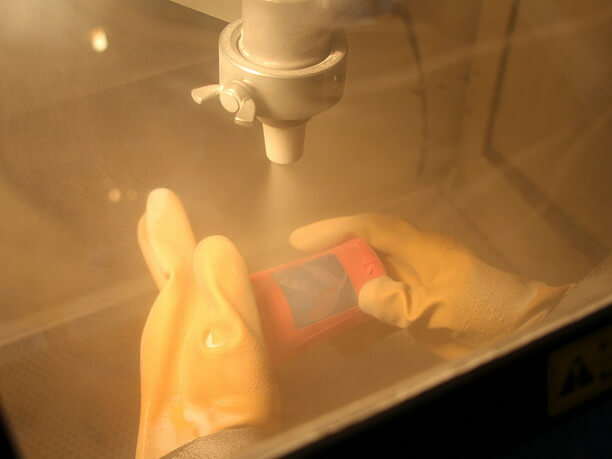 They specialize in offering a glass sculpture experience called “sandblasting,” where you spray sand on a glass surface to etch a design into the glass in the form of whatever pattern you have chosen. If it is sold inside the store, they have the materials on hand that you will need to create it! 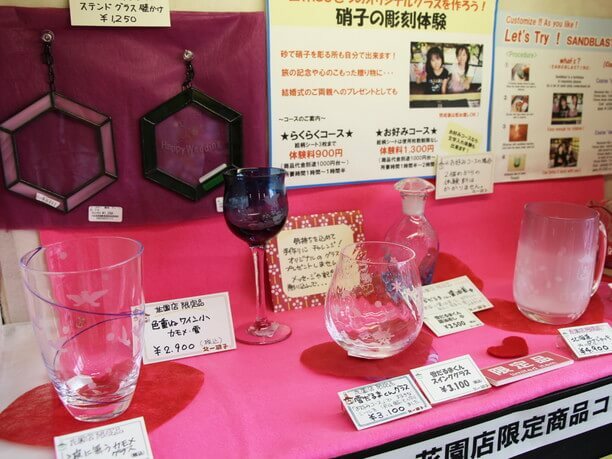 The fee to create something is 900 yen for up to 3 glass sheets. 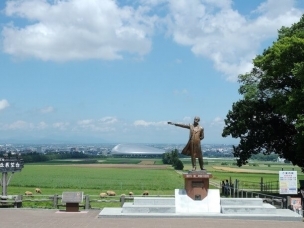 The favorite course is with an unlimited number of sheets for 1,300 yen. In both cases there may be additional product charges depending on what you choose to make! 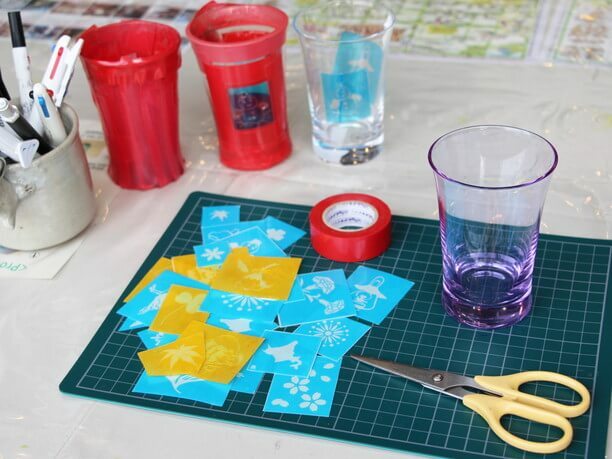 It is easy to create your pattern by applying a sticker! In general, you use a simple tumbler and rock glass for your sandblasting experience, but here, you can choose from any of the glass products in the store! You can even take on the challenge of working with wine glasses, or lamps. With their many curved surfaces, it can be difficult for beginners to master. 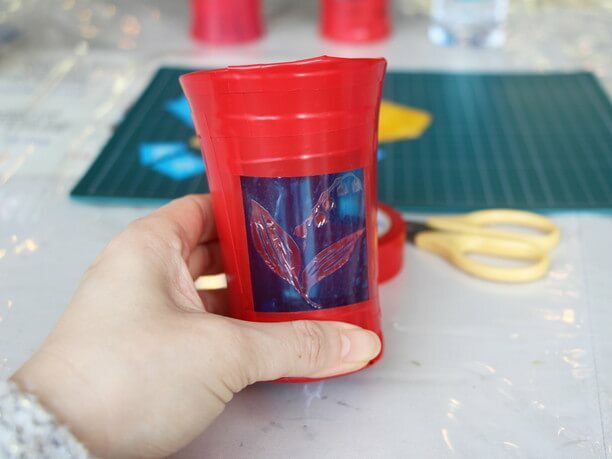 After choosing a product, just paste a cutting sticker with the pattern you want to produce. There are so many kinds of stickers to choose from so take your time in choosing the right one for you! After applying the sticker seal the border vinyl tape. 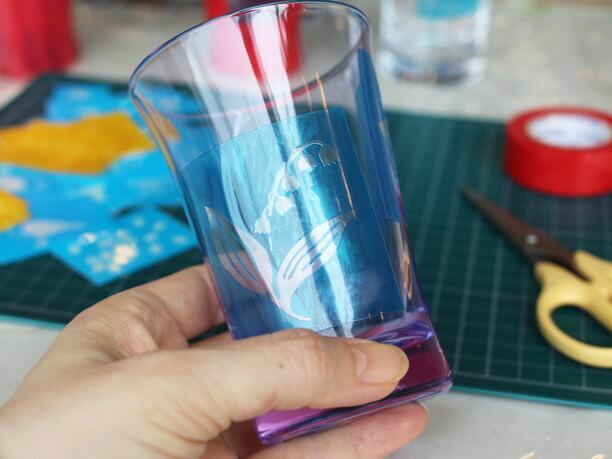 Depending on the design, it will take you about 1 hour to 2 hours to complete glass work. You will learn how to do the sandblasting on your own! You can experience the process of spraying sand on your own! 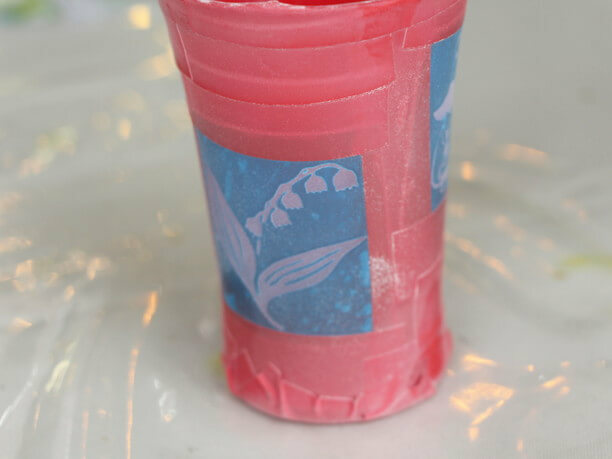 You use a special machine that sprays fine sand over the pattern you stuck on your glass. 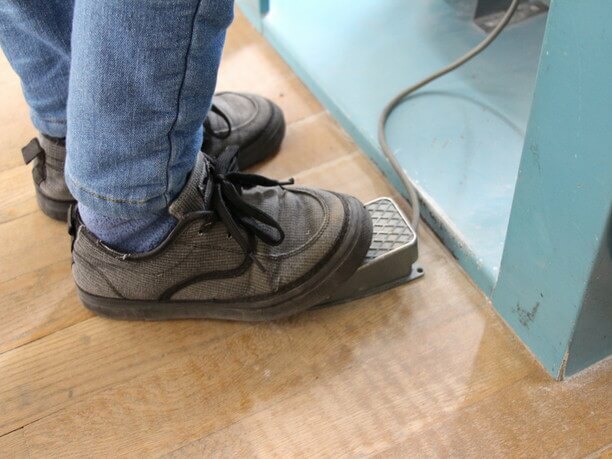 While turning the glass by hand, you adjust the degree of the sand by stepping on the foot pedal. There are many places where the sandblasting is done by the person in charge, so it is a precious experience that you can do it here for yourself. 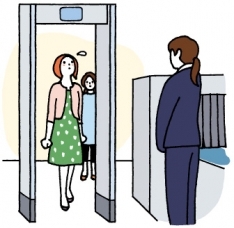 Of course, there is a staff member to advise and guide you, so that you do not break your glass. 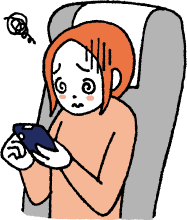 If you are an elementary school student or older, you can do it alone. You can create beautiful glass art yourself! After evenly spraying the sand, peel off the seal and tape, wipe off the sand, thoroughly clean it and you are finished! The result is a beautiful glass sculpture like the one you saw in the store! 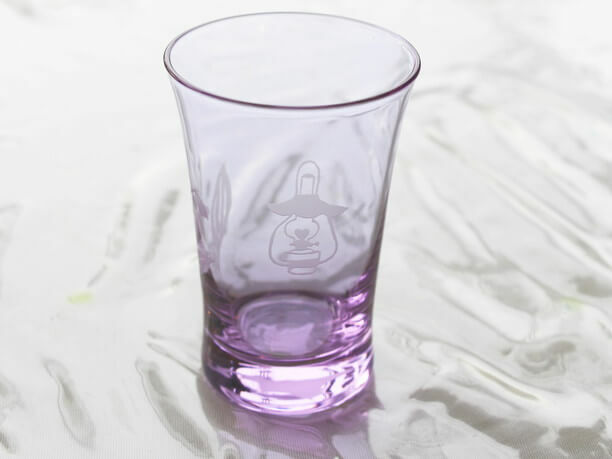 The products of Kitaichi Glass are distinctive in design and color, so you can make a luxurious souvenir for yourself or to give as a special gift. The Hanazono store is a satellite shop where many popular items are gathered! 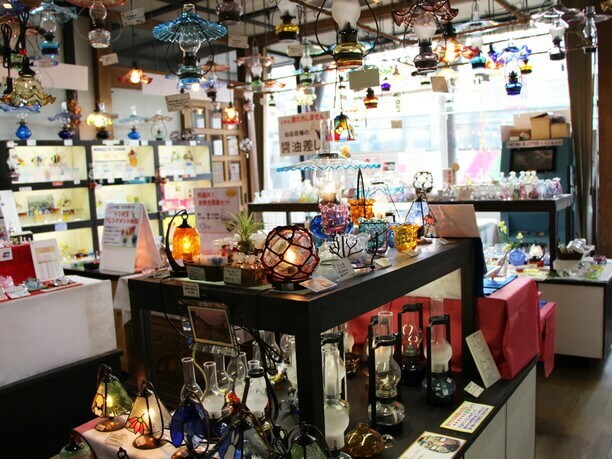 Other tourist areas also have Kitaichi Glass shops, but local customers come to buy at the Hanazono branch Store. The reason is that the popular items from each store are gathered here. There are few tourists, and that it is one of the attractions because you can take your time and choose carefully! They sell some special products that are very popular such as lamps and leak-proof soy sauce bottles. These bottles have excellent design and function! They also sell tonbo balls that can be made into straps and accessories. They also have a tonbo ball creation experience that takes about 10-15 minutes. If you prefer, you can also do a course where you can also engrave letters, memorials such as birthdays, names and messages! The finished work can be brought back at once, but if you are concerned you might break it when traveling, they can ship it as well. 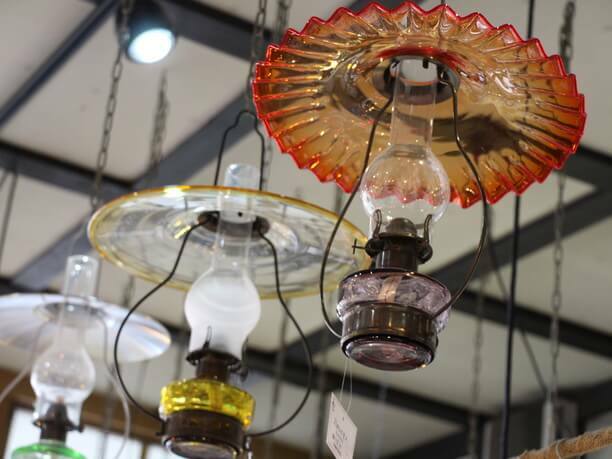 Blown glass products are slightly different even in the same color and shape. So choose carefully the right one for you! Personal recommended items here are the soy sauce bottles. You can try it at the shop, but it really does not leak! It is truly beautiful and functional. 9:00 a.m. to 7:00 p.m., experience acceptance is from 10:30 a.m. to 4:30 p.m. Enjoy a glass blowing experience at Otaru Il Ponte along the Otaru Canal! “Kitaichi Hall” is beautiful cafe lit with 167 lamps! Hokkaido’s Amato (Otaru main branch) serves the popular souvenir Malone Colon in its Showa era atmosphere!